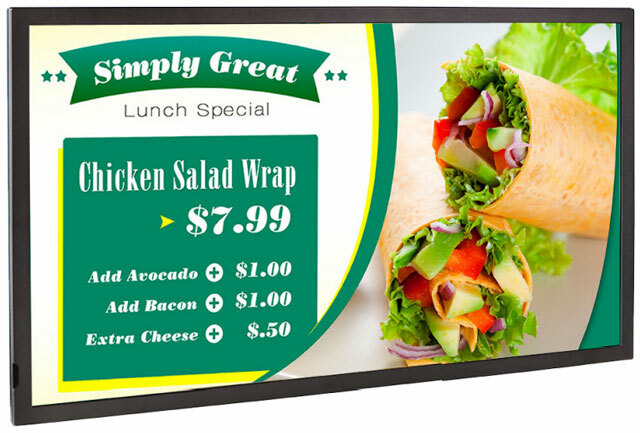 Planar, a global provider of display and digital signage technology, announced it has added two new sizes to its Planar Simplicity Series line of edge-lit LED displays, offering customers a broad range of choices for deploying simple, sleek and affordable digital signage displays. With the addition of the SL4650 46″ and SL5550 55″ models, customers now have four sizes from which to choose, making the Planar Simplicity Series a versatile solution for a wide variety of commercial applications including retail stores, restaurants, corporate meeting rooms, fitness centers and museums. The Planar Simplicity Series now features four sizes, 32″ and 42″, introduced in the Fall of 2013, and 46″ and 55″ recently announced.